There are various user roles on DIKSHA. Each user has a unique role to play in their respective organizations. 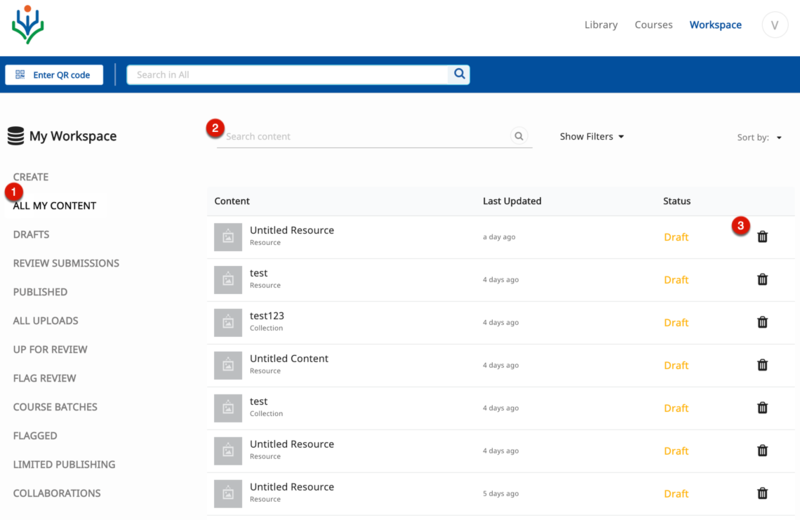 Organization administrators assign one or many responsibilities to users on DIKSHA. Extending the literal meaning of workspace, a space to work, DIKSHA provides a unique workspace to suit the work needs of each user. The workspace interface varies based on the role assigned to the user. 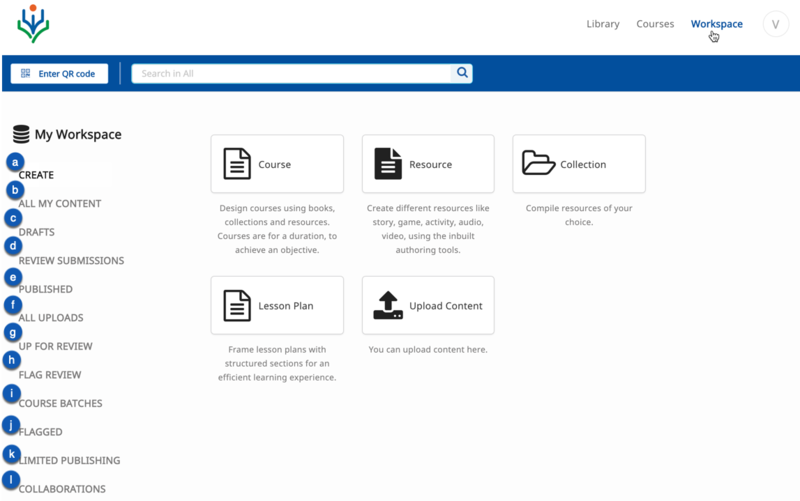 For instance, a book reviewer has only the create book tile, while a content content would have all the tiles viz., collection, course, lesson plan, and, resource. The image used displays all the options in the workspace as it would appear for an organization administrator. h. View list of flagged content that have to be reviewed. This option is available only for flag reviewers.